Who but Whovians loves teasers. As we are rapidly approaching the series finale this weekend, here is some episode teasers for The Big Bang . . .
¤ The TARDIS does explode in an epic shower, but be prepared for a twist. ¤ The "Future Doctor" thing from 'Flesh and Stone' does happen, and has been confirmed by people who have seen the scripts. Matt stated that his call sheet throughout shooting the previous 12 episodes included additional scenes for the finale. "When we were doing Flesh & Stone, I'd get to the end of the day and realise that I'd got to do this extra sequence that I had no idea about. All I know is I've got to be quite concerned about Amy." ¤ The Pandorica has a rather useful feature, in that it keeps you very well preserved and alive forever. This particular feature is important in developing a strategy to bring Amy back. ¤ Having lived in the house with the crack which happens to leak a field of time energy has had an important and special effect on the development of her brain. ¤ Robot Rory (or Auton) is responsible for releasing the Doctor from the Pandorica. Amy takes his seat inside the Pandorica while the Doctor goes off to find the right "fuel" to bring her back to life, leaving Rory to guard the cube for quite some time. This gives rise to the legend of "The Lone Centurion" which is ocassionally spotted throughout time guarding the cube. ¤ Rory doesn't stay an Auton forever though, and it is reported that he does eventually make his way back as a human. ¤ There is a wedding at the end of the episode (use your imagination). ¤ Strong indications that Omega makes an appearence near the episode's end. Rumour has it that Omega is played by Jason Isaacs (Lucius Malfoy of Harry Potter fame). ¤ When asked about River Song, Matt comments: "There is a a scene near the end of the episode where River Song and The Doctor have a little chat about the exact nature of their relationship"
¤ Filming on Christmas Special starts on July 12. It's the "most Christmassy special there'll ever be" with an equally special cast list. 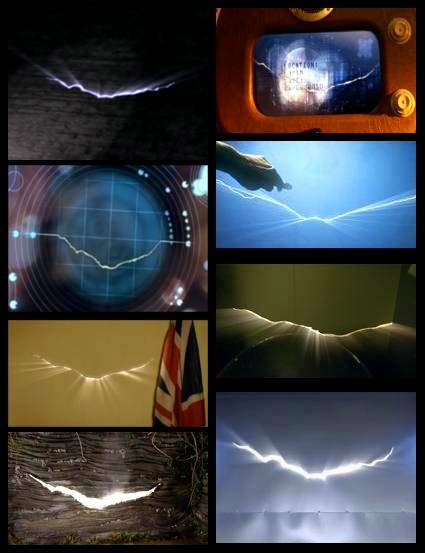 You know that crack in time and space . . . well NASA's Spitzer Space Telescope located it about 11,000 light-years away in the constellation Sagittarius. That is all - transmission end.